Dornoch Historylinks Image Library - Dornoch Light Railway ~ Last Train ? Dornoch Light Railway ~ Last Train ? 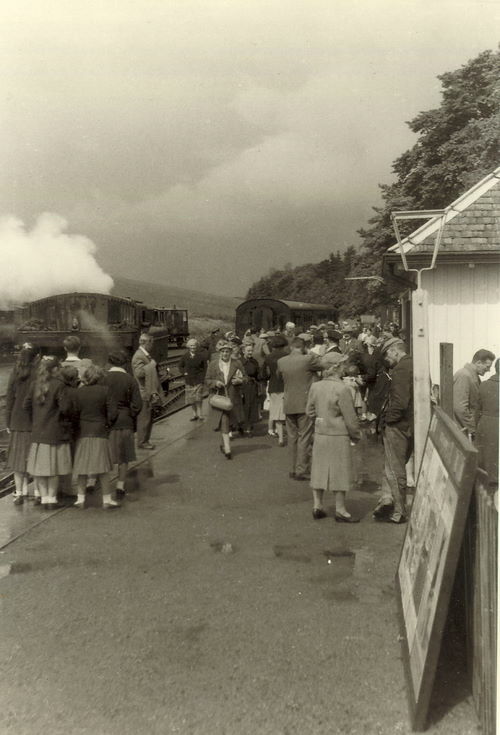 Monochrome photograph, from the Hardie Albums (see 4960), of Dornoch Station, with a large group of waiting passengers ~ possibly the railway's last day 11th June 1960.